An effective Property Preservation Business Website should be good-looking and it must also show up when and where their potential clients are looking for this type of business in their coverage area. Most of the Property Preservation business owners currently operating right now either do not have a website or the website they have looks like it was “slapped” together without any thought or strategy. Building a functional website for your Property Preservation Company is not something that most small business owners should be attempting to do themselves. I mean, would you hire a doctor to fix a plumbing leak? Of course you wouldn’t. it is a good idea to know some of the common web design mistakes many small business owners make. A good website is a really important part of a successful business nowadays. A properly designed Property Preservation Business Website should be one of your top priorities. 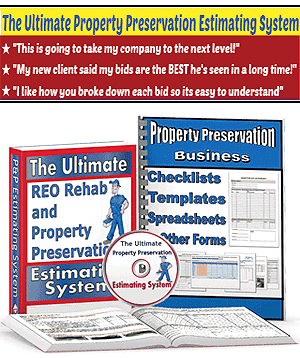 It is the consensus of many national and regional clients that if a local Property Preservation business owner is too cheap to have a decent website or if their website looks like it was created by a 7 year old, the quality of their work will probably be just as crappy. 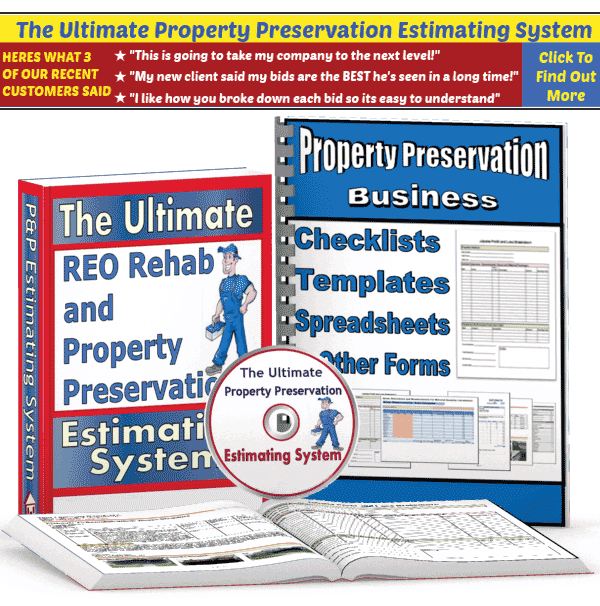 With all the competition in the Property Preservation Industry in this day and age, you absolutely have to set yourself apart from the many competitors within your local coverage area. So if you are not a web designer, don’t go the cheap route and try to design the site yourself. Hire someone who can do the job at a reasonable price or buy your website from someone who specializes in building websites for Property Preservation businesses. Remember, most potential clients first impression of your business is from your website. What is a good insurance policy for this type of business? general liability is a start. 1,000,000 per occurrence. If you are signing with some of the larger national companies and some of the regional companies they require Errors and Omissions as well. 1,000,000 as well. There are a few companies out there that specialize in our industry. I’d go with one of them. Leonard Insurance, Brunswick Companies, York-Jersey Underwriters. I’ve used both York-Jersey and Brunswick.